Who doesn't love pizza? now you can enjoy your own personal style pizza in less than 10 minutes. 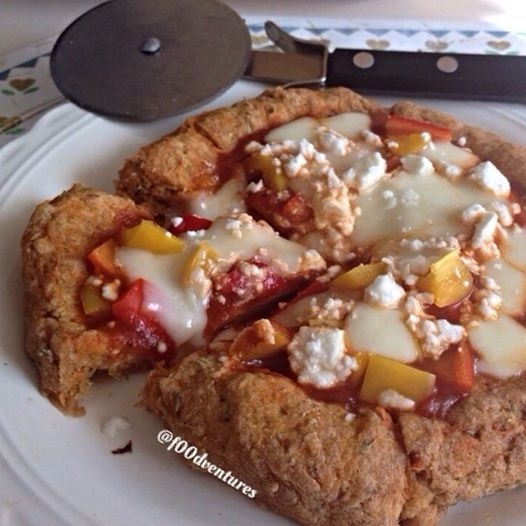 If you use dairy free cheese, this entire recipe can be made dairy free and vegan! Combine ingredients in a small bowl to make your crust. Mix well. Oil a plate and separate your dough into 3 pieces. Shape each piece into a small pizza and microwave for 45 seconds. Spoon your sauce and sprinkle your cheese onto your pizza bites then microwave for another 45 seconds. Let cool and enjoy.